Breakdancing, more commonly referred to by dancers as bboying or breaking, is a part of a new module in Skills Academy, where schoolchildren can learn great dance skills as rewards for practising and improving their reading. SunSun, dancer, explains how she got into bboying, and how it can be used to inspire learning. I remember first seeing bboying on TV back in 1982 or 1983 – there was a song produced by Malcolm McLaren called Buffalo Girls where the dancers were doing it. The next day everyone at my school was trying it! Back then we didn’t have YouTube so all we had to learn from were short snippets from the TV. I was training as a gymnast at the time - when I saw breaking on TV I really wanted to learn, but there weren’t any professional instructors, so I just practised with friends. When breaking got really popular in the 90s was when I actually got to learn it properly. 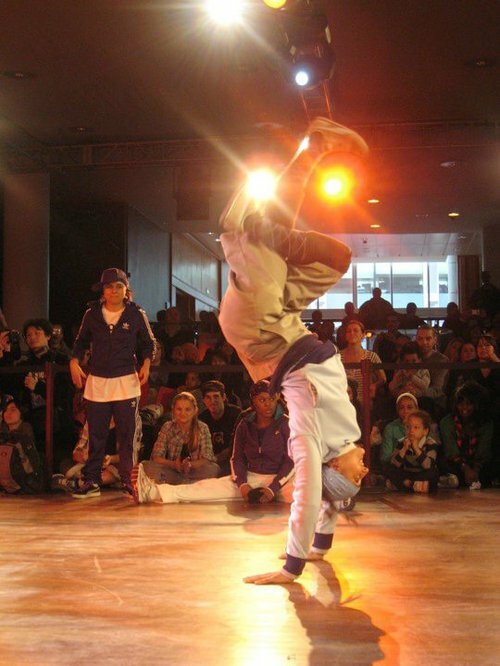 I joined a class at a studio and my interest grew from there – I had my first battle in 1999. I work a lot with schools now, and bboying is definitely something that inspires the children I work with. It’s a very athletic and visual dance so they love watching it and learning the skills – a lot of the moves are very daring, like something out of an action movie! When some of my students did their first performance on the Southbank at the first 'B- supreme' showcase, I really saw the impact of bboying on them. They had never really performed that much before, and they got such a buzz from it that they all turned up to class on the Monday so excited, as they realised it was something they really wanted to pursue, which was great to see. The discipline and dedication you need in learning breaking is quite intense and you have to really focus and listen if you want to progress, so there are really key life skills involved in learning it. It builds confidence too - I have seen many shy boys and girls get into bboying and it has really brought them out of their shell, and given them something to aim towards. You also have to think quickly and make choices as everyone’s body is different, so what works for one person might not work for you - so you have to use your own initiative to work it out. Find out more about Skills Academy.